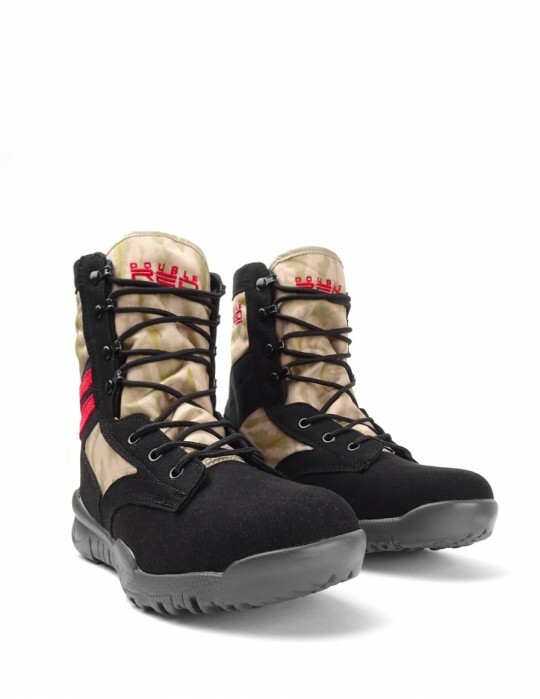 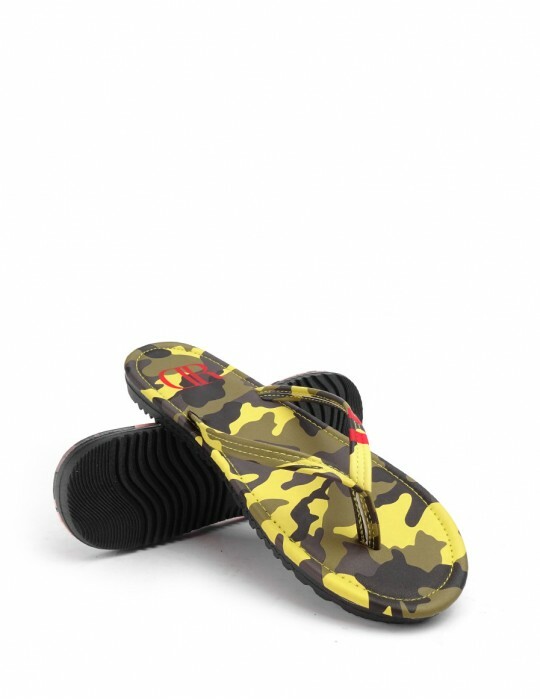 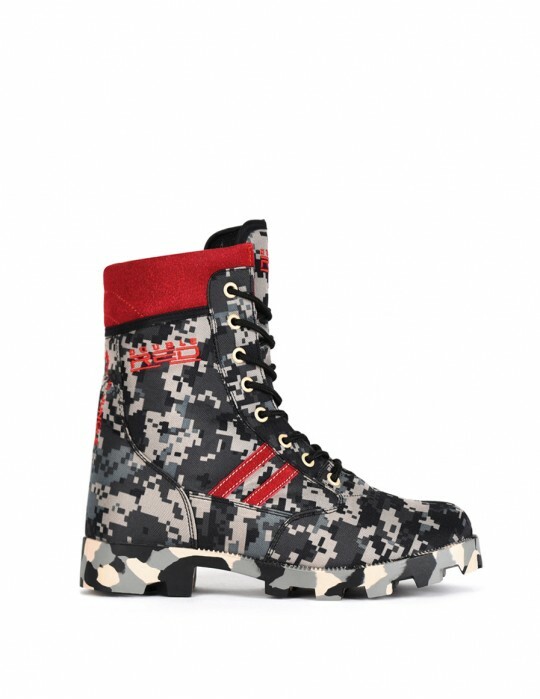 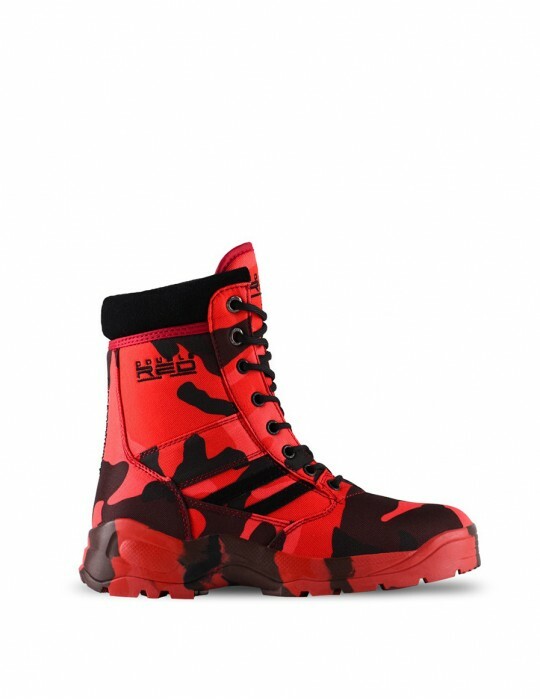 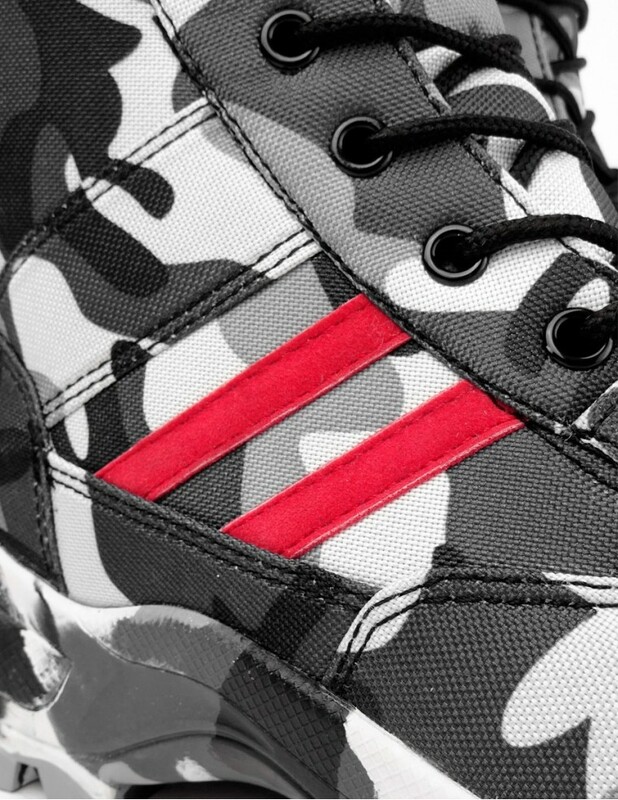 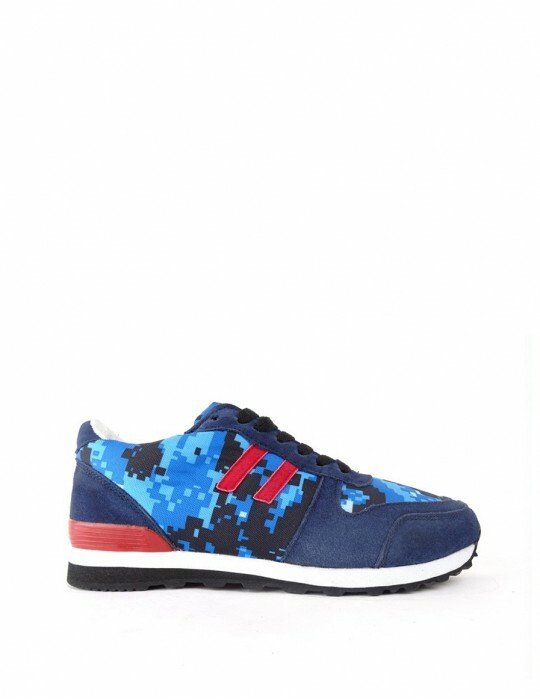 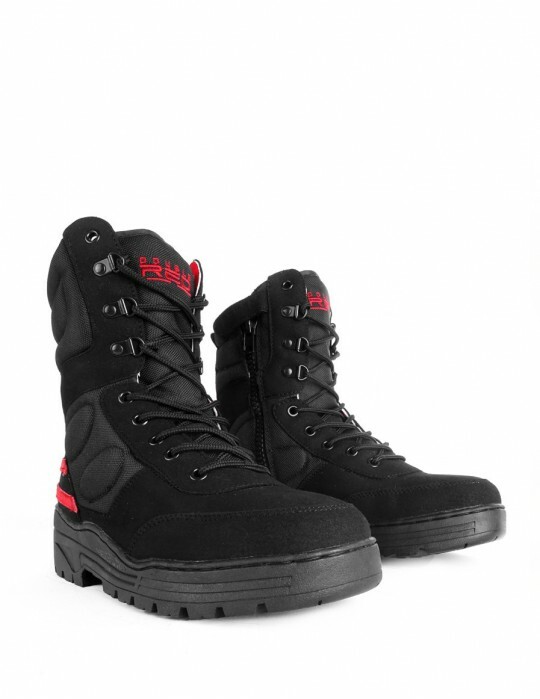 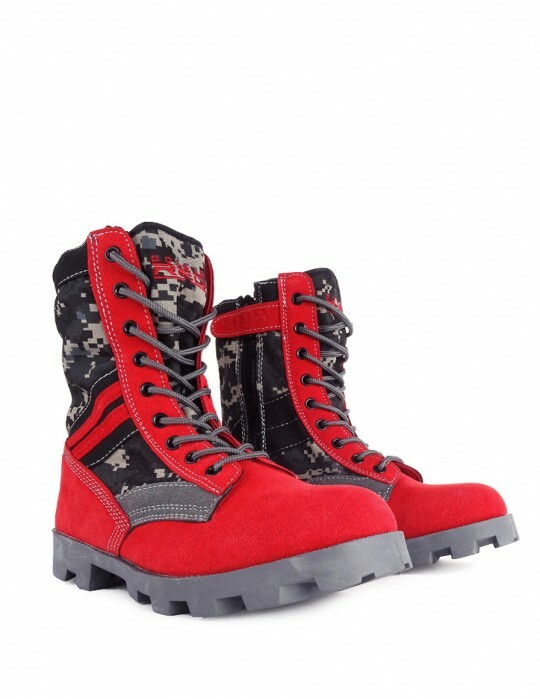 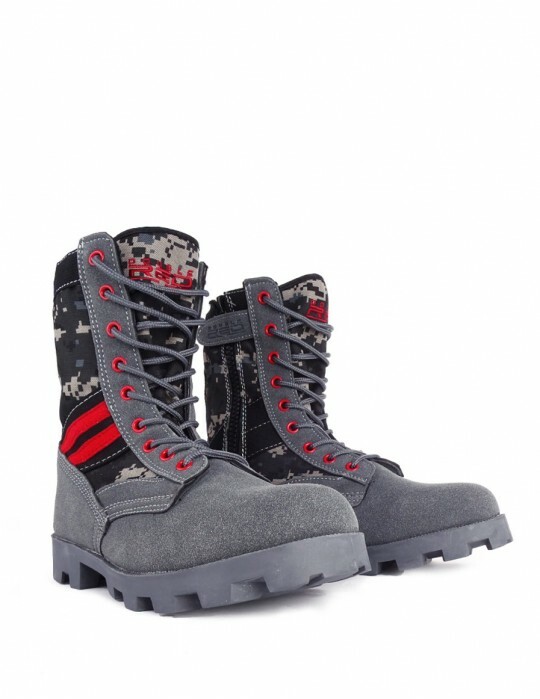 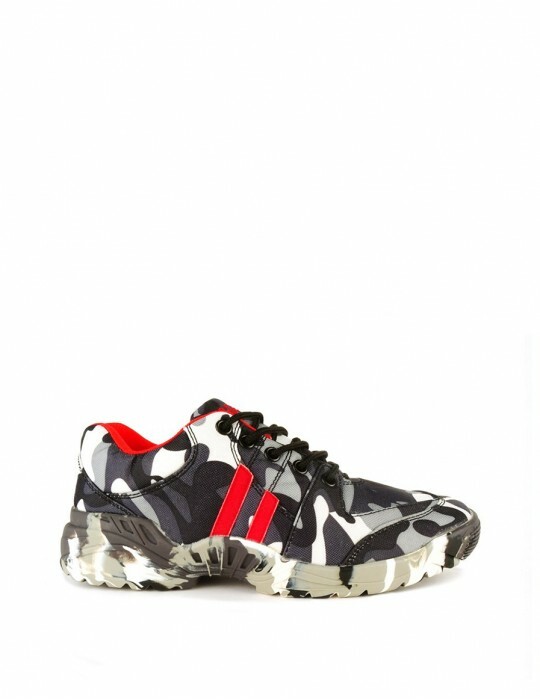 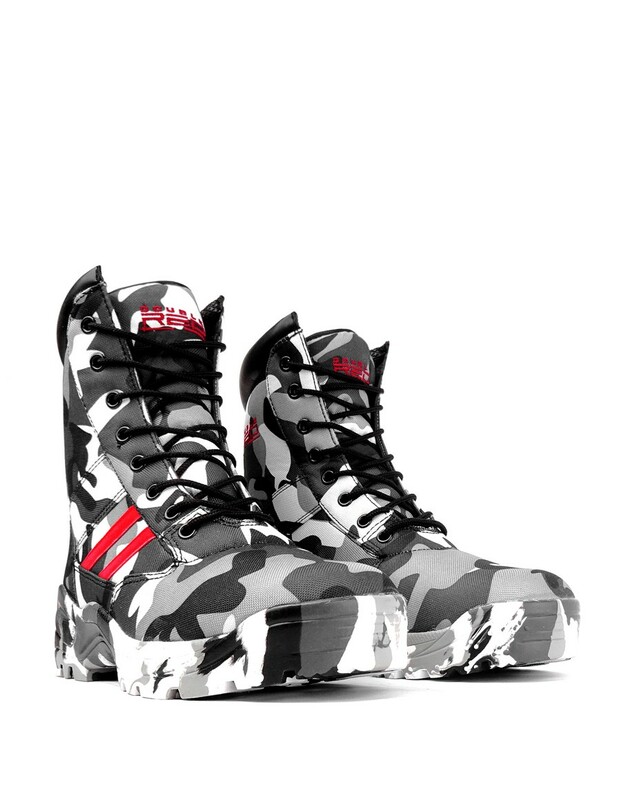 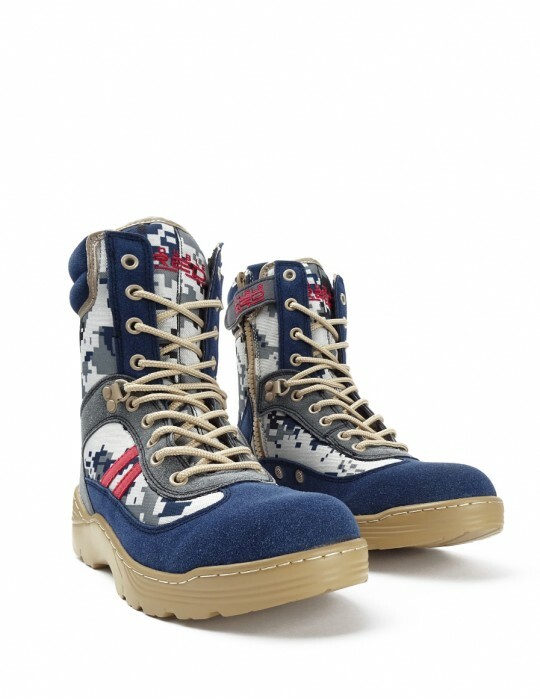 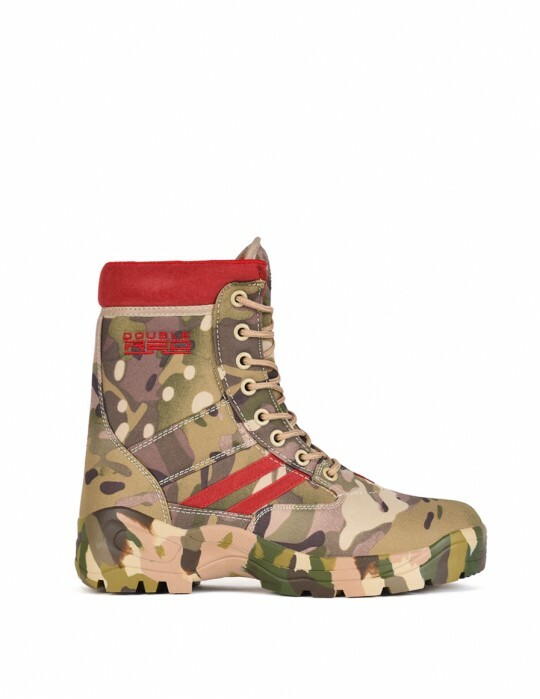 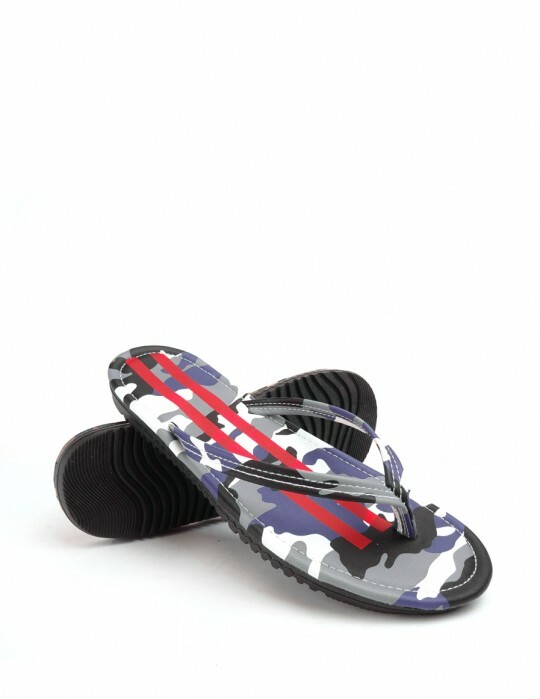 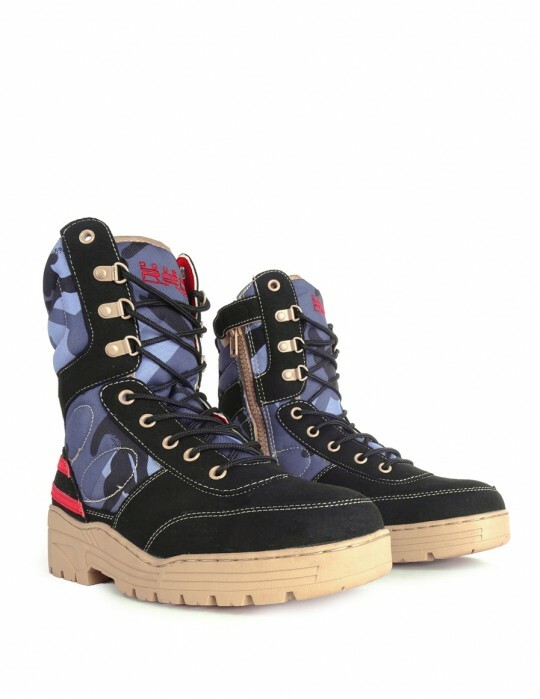 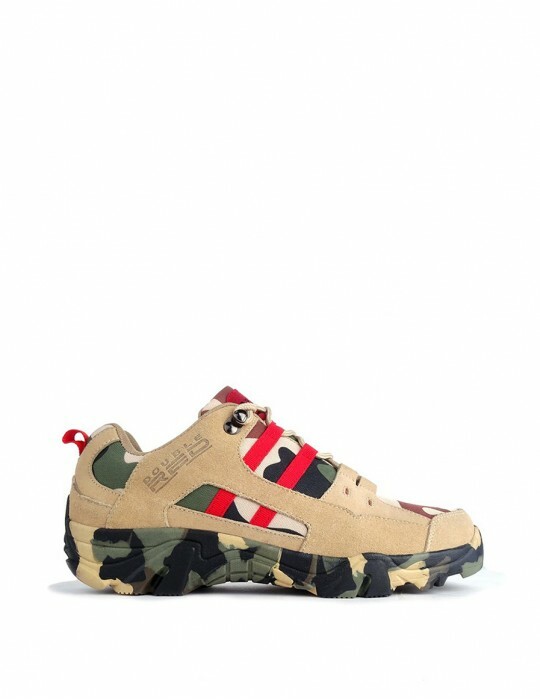 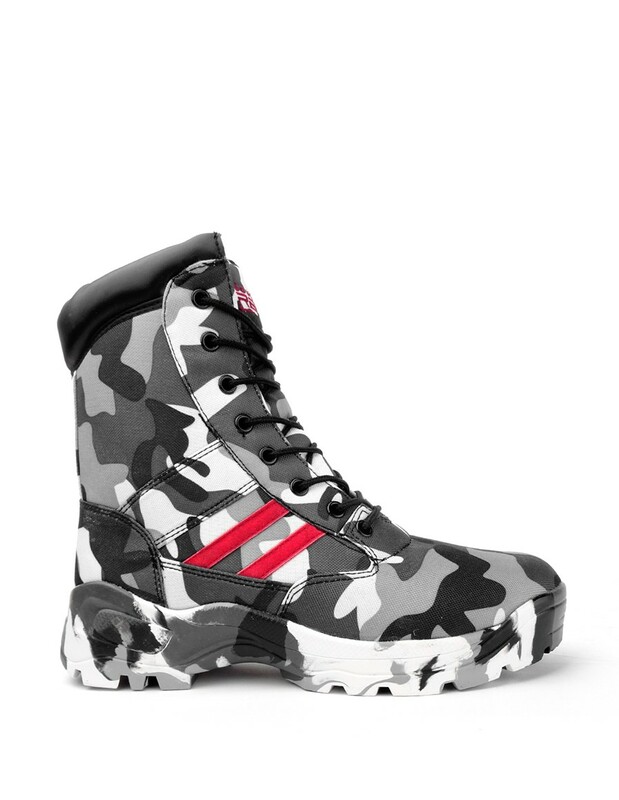 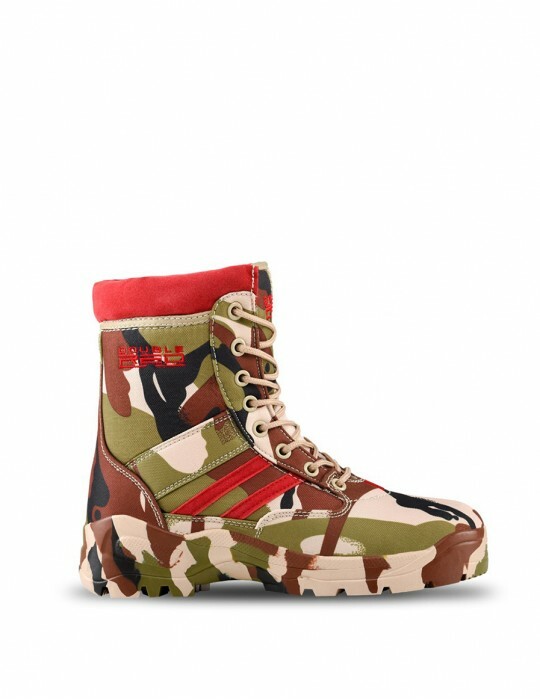 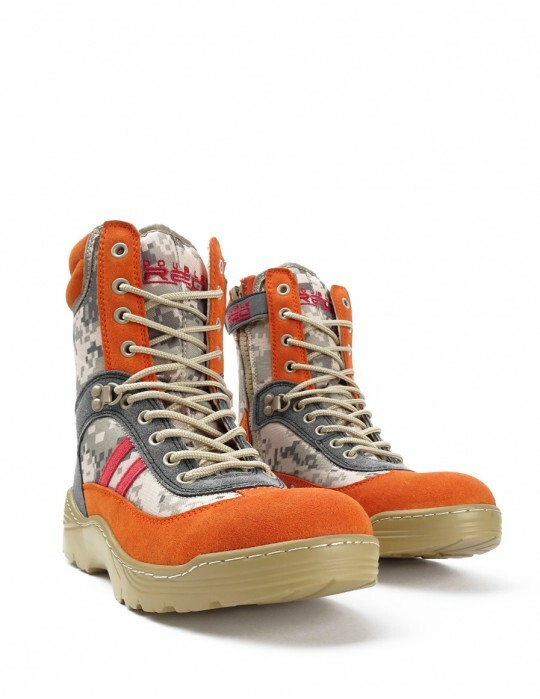 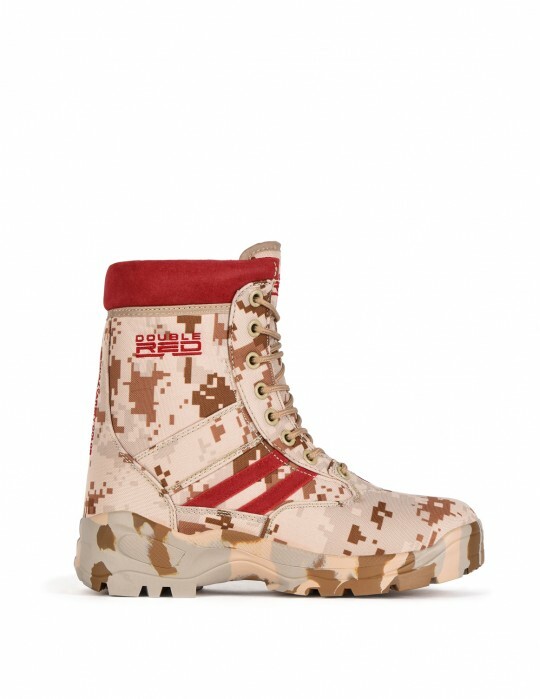 New Military style boots in camo design from Crazy Army Color edition by DOUBLE RED Clothing Co. 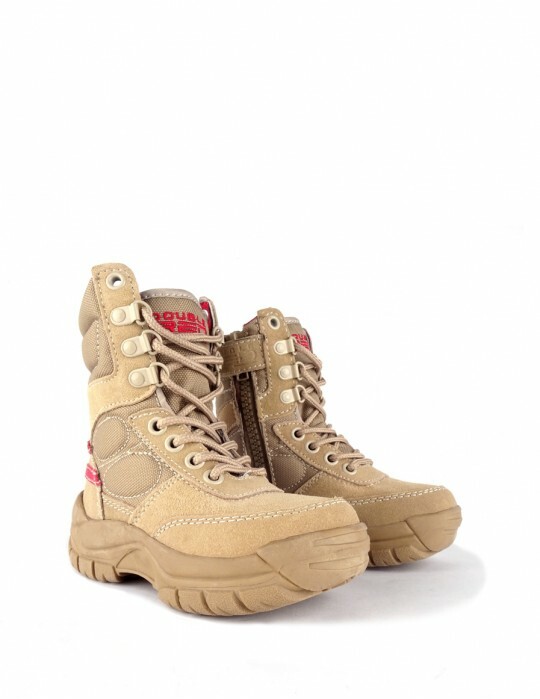 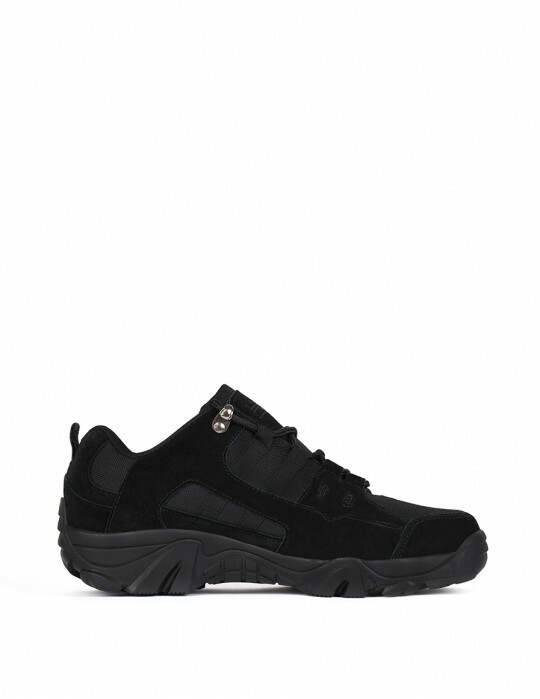 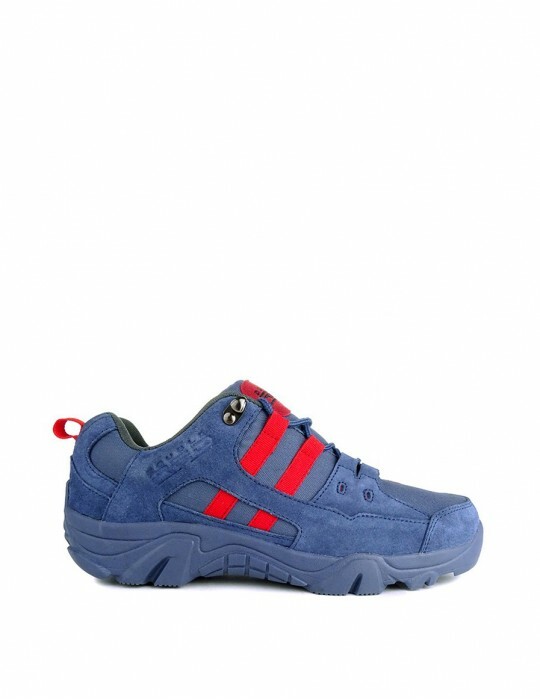 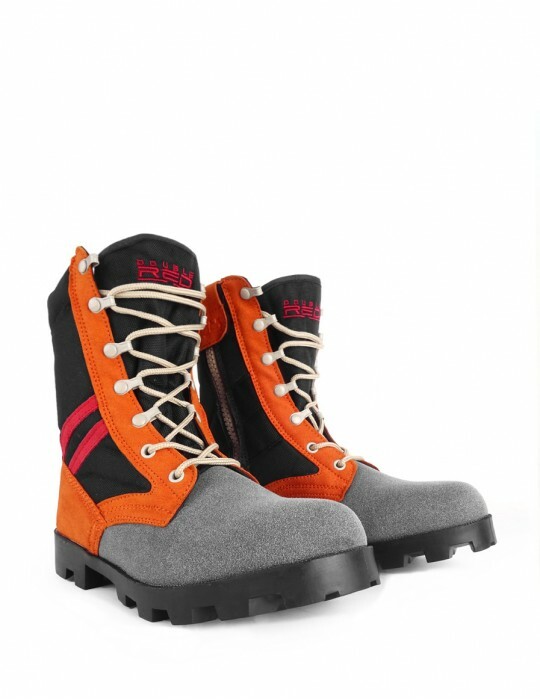 The Boots are made from high-quality lightweight materials not to mention the anti-slip PU sole which is made from flexible materials to assure stabilization in walking and also to make driving at ease. 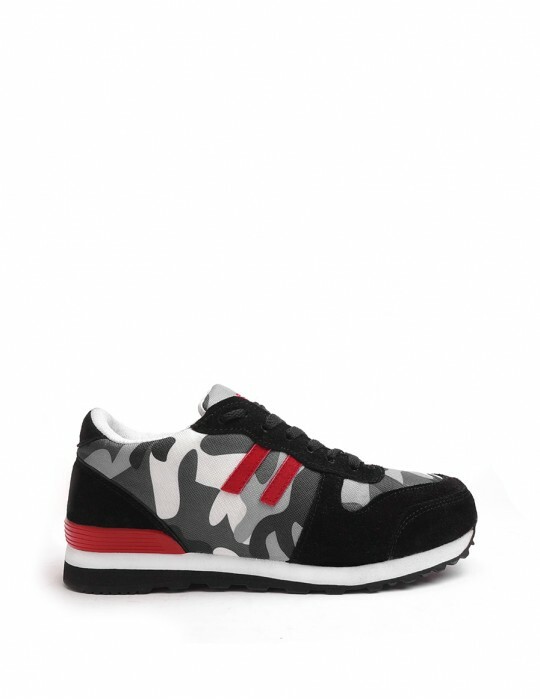 The upper side is with laces, without side zipper. 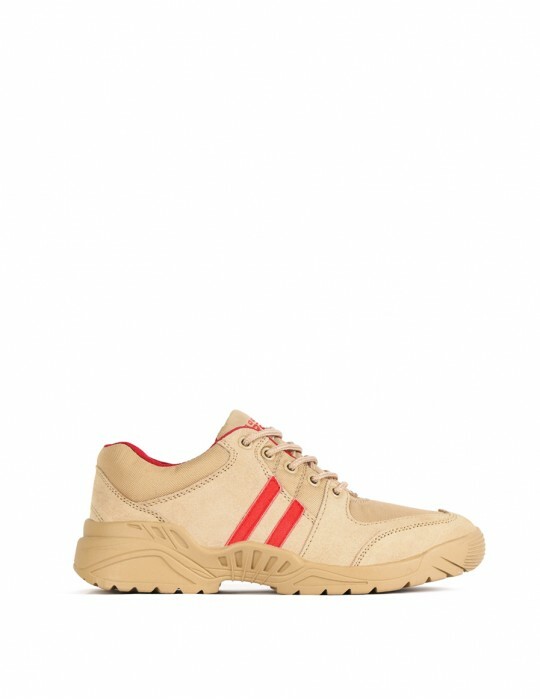 Firm tongue to avoid penetration by dirt and dust. 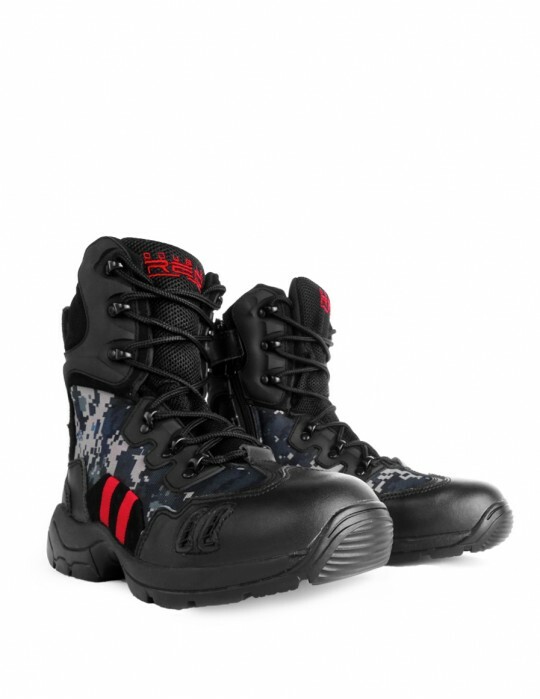 However, these boots are suitable for wearing in all seasons throughout the year. 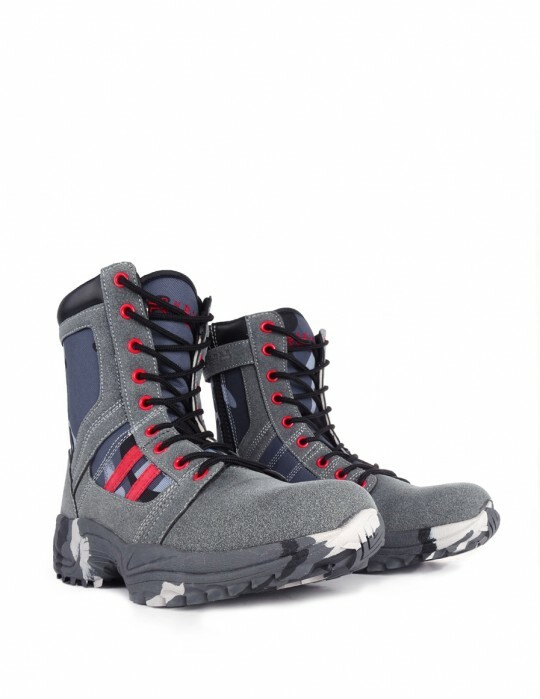 The boots consist of synthetic textile. 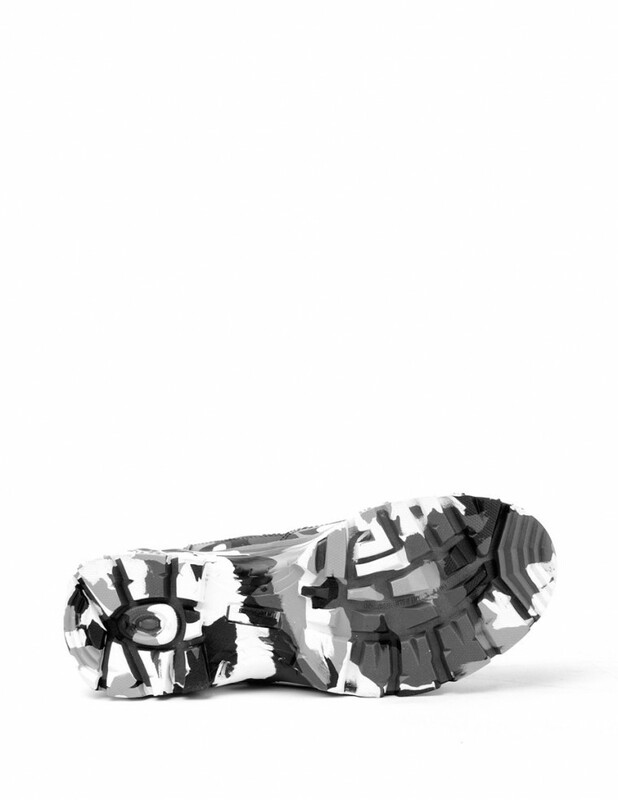 Sole is made of synthetic material - polyurethane. 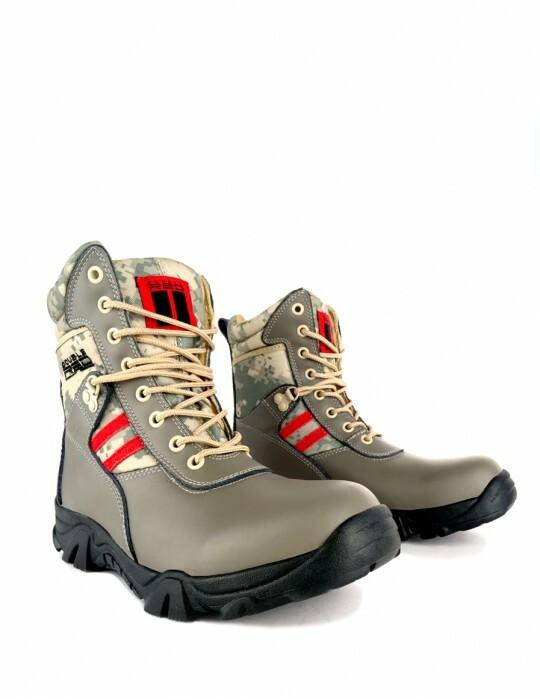 Regular care and cleaning are required to maintain quality. 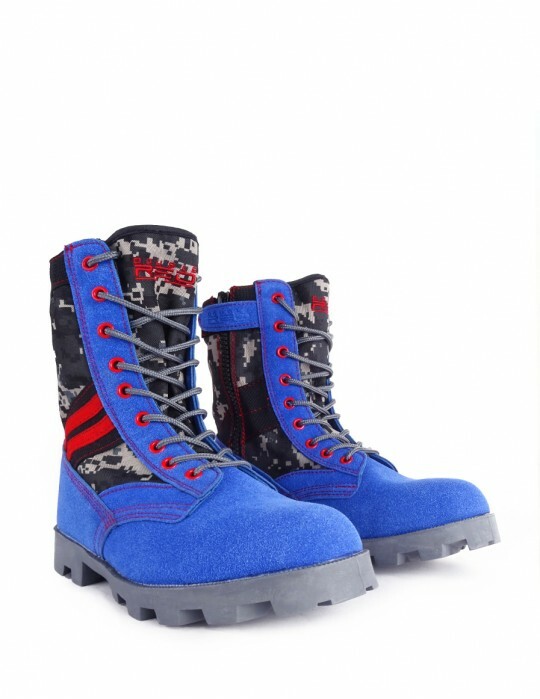 For Boots care and maintenance, we recommend a soft bristled brush or damp cloth with impregnation.